I took the liberty of altering this photo. 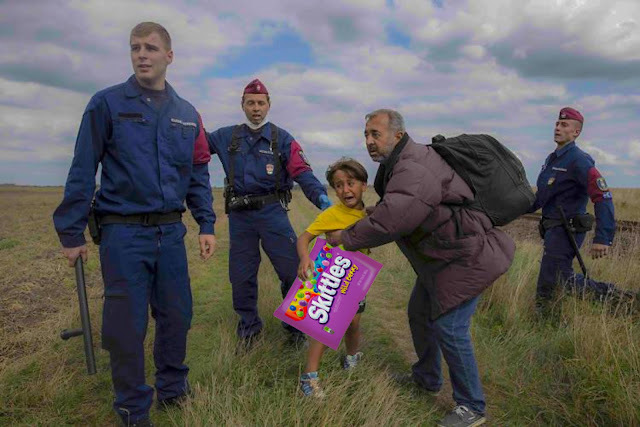 This is the migrant kid that got kicked by the Hungarian photographer. We can't forget that little kids are just little kids. They deserve better. Every color.